Join us for one or both of these informative programs! 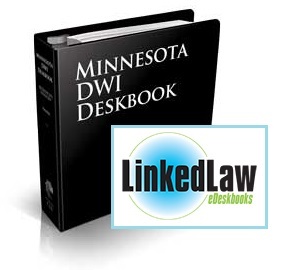 All attendees will receive a month of free access to the Linkedlaw edition of Minnesota CLE’s Minnesota DWI Deskbook! Times listed are Central Time. Credits listed indicate what has been applied for. In this presentation, Minnesota DWI Deskbook author Christina Zauhar and guest Ed Cohen from Smart Start MN will address the intricacies of the ignition interlock option available to some DWI offenders. Minnesota DWI Deskbook authors Ed Kautzer and Matthew Wildes will discuss the broad spectrum of professional ethics rules that can come into play when representing clients in DWI matters and best practices to avoid running afoul of these standards. – Edward F. Kautzer, Ruvelson & Kautzer Ltd.
– Matthew Wildes, Ruvelson & Kautzer Ltd.
For more information call Minnesota CLE at 651-227-8266 or 800-759-8840. Admitted in the past three years? Purchase webcasts for half price! Browse the full webcast schedule and take advantage of your new-lawyer discount.